As a kid, I would go to a friend's house, whose dad smoked these metal stemmed pipes. I remember being stopped short seeing the squirrely little gristly man setting in his EZ Boy chair smoking that damned ugly pipe. They were from Michigan, so I just chalked the oddness up there with talking funny and them eating sweetened cornbread (yuck). I don't think they look new, by today's standards. They do look vintage, but vintage in that still damned ugly category... for me. But, if people like them... have at it. I'll take the Vespa over a Falcon. There are so many better looking pipes that smoke very well. It'd have to blow my socks off to get me to try one over the millions of more beautiful pipes. But, maybe I speak too soon. You could get you a big leather mad hatters hat, and long mustache, some googles with extra lenses that flip up, and a metal toy raygun. that would distract everyone from how stupid the pipe looks. I've never smoked one and don't doubt that they smoke just dandy but I've never had the urge to buy one. To me, they look like something you could buy at IKEA. I've often thought about them, just to see what the hype is all about. But my briar pipes smoke so darned well I never seem to pull the trigger on a Falcon. I've always been amused and kind of delighted by Falcons, their art-deco-techno oddity, but not so I've bought one. However, my own conversions are many, from Forums recommendations and outright gifts, and a number of gifts from my wife. 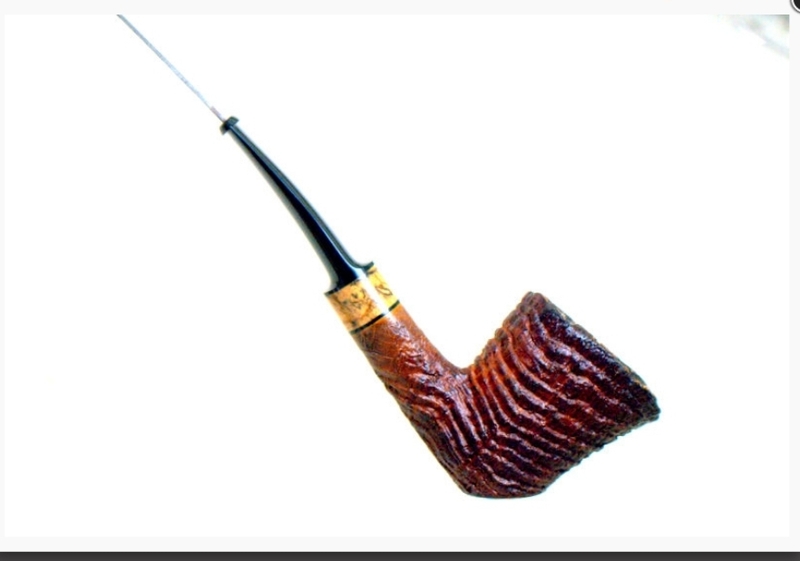 My conversions have been to small-bowl pipes, churchwardens, Hungarian/Oom-Paul, a bamboo shank, camp carved rustication, and five or six others that don't come immediately to mind. All I can say is, keep an open mind. You don't always know what will appeal to you, afterall. P.S. I admit I don't care who sees me smoking any pipe I own, and I'd happily smoke a MM cob wearing a tuxedo, or any similar incongruity. Folks, including me, need a little jolt now and then; it improves their circulation at no extra cost. It looks like cleaning them would be a royal PITA. I'm with you, mso. If I enjoy the way a pipe smokes, I smoke it publicly and proudly, even if it is ugly or strange. I guess my jab was more subtle, in that I quietly professed to being a briar snob. Note to self, be less discreet. I try to not comment on stuff I don't like. Mostly, they're ghastly renditions of traditional or Danish style pipes. I dislike metal except silver or nickel for bling, as in a fancy spigot. I admire those who can smoke metal thingies and not be concerned about the aesthetics- at least my aesthetics! Haters going to hate. At least a Falcon isn't a cob. Cortez, they are not a PITA to clean. I can guarantee cleaning a Falcon takes a fraction of the time over a briar. but here's a Falcon broken down. +1 jpmcwjr, and kudos to people who can smoke corn cobs, without worrying about every thinking that they use outhouses and have hookworm... and thinking them too cheap to actually buy a real pipe... and looking like a part-time pipesmoker just trying something on a vacation that they don't have to buy a real pipe for... or smoking something they found in a Cracker Jack box. Good for them. Don't let peer pressure get to you. Be you own person. Think for yourself... even if we all laugh at you. It's ok. Don't be a sheep. Ash, you've been posting some nice looking pipes on these recent strings! I was on a board where a number of guys smoked them, always claiming how well they smoked. I was tempted but decided to decide that only quirky Brits on a spare pension smoke them. Come on guys, take your best shot. Great thing is, I don't do it for you but I do like to keep my manly image but my fine beard usually covers me just fine. IKEA is a fine store, most of CA is furnished by them. I have enough trouble, with racks of pipes, deciding which blend in which pipe, without adding a decision about which bowl on which stem. Good. You should keep enjoying your new Falcon, no matter what us jerks think. As far as IKEA goes, I hope I never step foot in that place again. My daughter likes it and we went there to get her a desk. After a couple hours of shopping while navigating the crowds, locating it in the warehouse while navigating the crowds and finally checking out while navigating the crowds, I wanted to sleep for a week. Falcons came too late. They would have been cool in the 19th century with the Eiffel tower and those early, bicycle-wheeled cars. Now they're just ugly. It's a good thing we all don't like the same thing in women or you guys would be out of luck! I don't like how they look but they sure do smoke good. I like the way my Falcon smokes, as well. I'm puzzled as how it could be seen as ugly. It has nice classical proportions and graceful lines and decoration, unlike many of the eccentric, goofy, modernistic, freehand designs I've seen in photos. Yes, the metal stem/shank isn't wood on a Falcon, but the acrylic stems on many (most?) of the pipes admired by aficionados here aren't wood, either. I guess plastic has a higher cachet than metal among experienced pipers. Falcon pipes do have these things going for them, though, if they lack beauty. 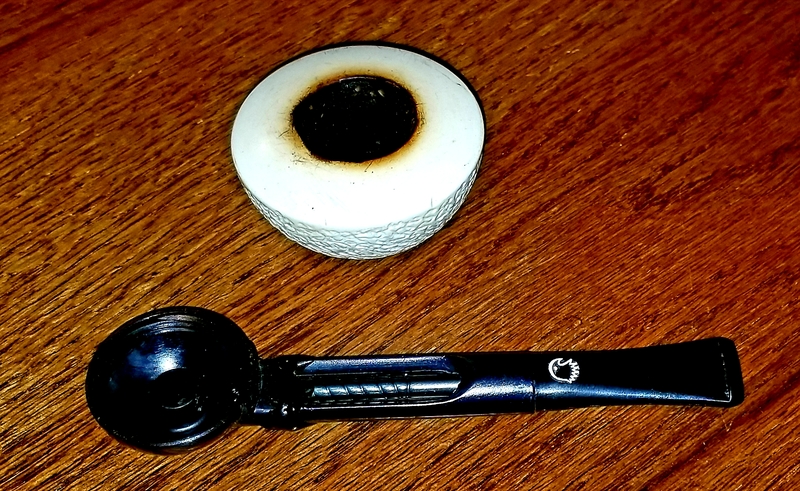 They are economical, easy to clean, cool-smoking, lightweight, come in various sizes and designs of briar and meerschaum bowls. They travel well and seem to be manufactured with excellent quality control and uniformity. You can build a seven bowl rotation with a stem for $200-$250, if you go to GQ Tobaccos online. Sure, I prefer my Peterson, Savinelli, or Rossi when I'm having my morning coffee reading a good book, but the Falcon is a great car and travel pipe. I can't knock it. By the way, Cosmic, I do enjoy your articulate hyperbolic expressions of contempt (tongue in cheek, maybe?) for Falcons. The main reason I would even consider a Falcon is that you can get cob bowls for them . . . and briar & meer bowls too, of course. Folks seem to think they smoke almost as good as a cob. I'll just stick with my cob. Glad you like your new pipe, post up a pic or two. If your bothered by their looks, why not purchase a Falcon International. It's looks are more traditional and the Falcon bowls fit on the International version. They come with removeable stems. I have three and find they smoke just as good as the regular Falcons. Check out 4Noggins, they sell the International and while your there, check out the solid Falcon Meerschaum bowls. Where do these pipes originate? When I was a kid I encountered lots of pipe smokers, and it seems they all smoked Falcons. They were first manufactured in the USA and I believe sometime in the late 50's they moved to the UK, where they've been manufactured ever since. The timing of that would explain their abundant use in the UK when I was growing up. Maybe Falcons were the only pipes available in the 70s/80s. I have been looking for a cob bowl. Where did you find yours? Doug doesn't have any on his site yet, but I'm sure he will soon. Send him an email. Well they have a number of stores in this state, but do you really think they are that dominant? We have no IKEA stuff in our house. had to look it up. i'm new and i don't even want to smoke that stuff. I don't have a Falcon yet, but imagine I'll eventually get one to try. Why, since I already have plenty of pipes ? - - Mostly cause of PAD.